2018-05-16 - Holloway Health and Wellness Center - Photo from Abe Cross, director. 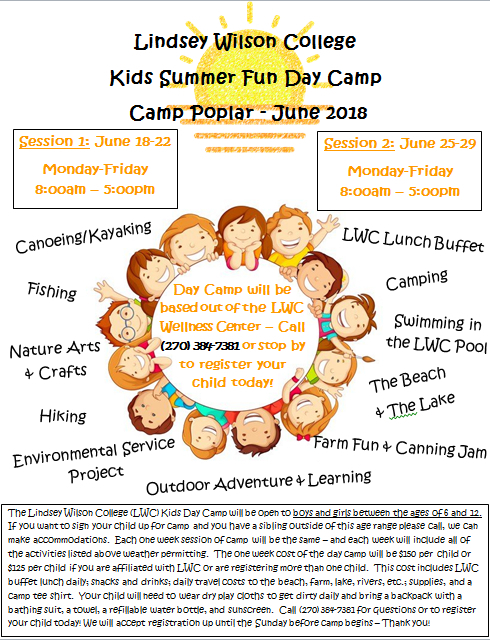 Boys and Girls, ages 6 to 12, are welcome to register for Lindsey Wilson College Kids Summer Fun Day Camp. Call 270.384.7381 for more details. Or stop by the Holloway Health and Wellness Center, 388-398 Williams St., Columbia, KY.